With those thoughts in mind, a massive makeover was planned for the kitchen and an adjoining space in his home. “The goal was to update everything, but still try to keep it very much in line with the period of the house,” Terry says. Enter Keith Rupp, designer for Kitchen Kraft. 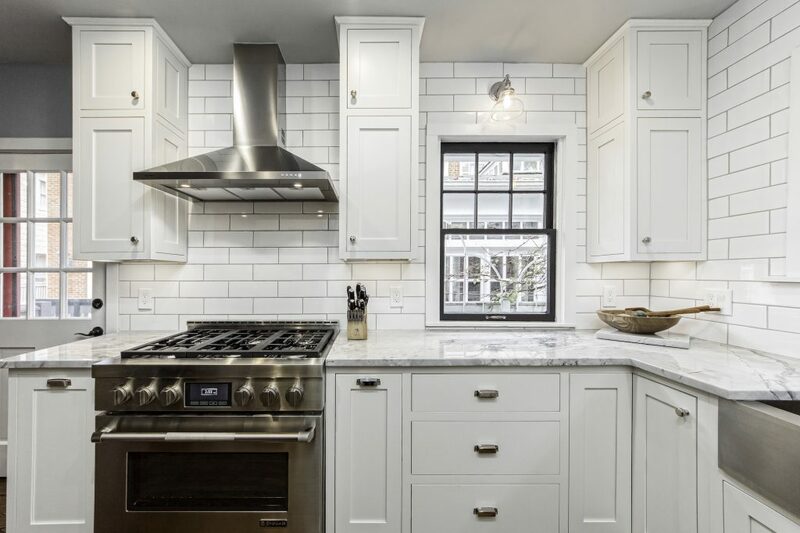 After their discussions at Terry’s home, the pair met at Kitchen Kraft, where Rupp took Terry through the idea of how he envisioned the space and what could make it a very useful kitchen for cooking and conversation. So how was the entire space updated while sticking with the history of the home and still adding an urban flair? 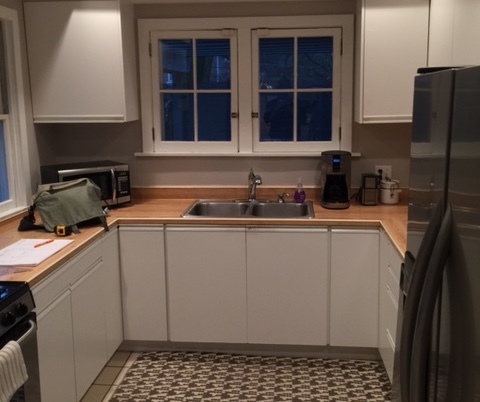 Shaker white cabinetry a was installed, and quartzite countertops were added. 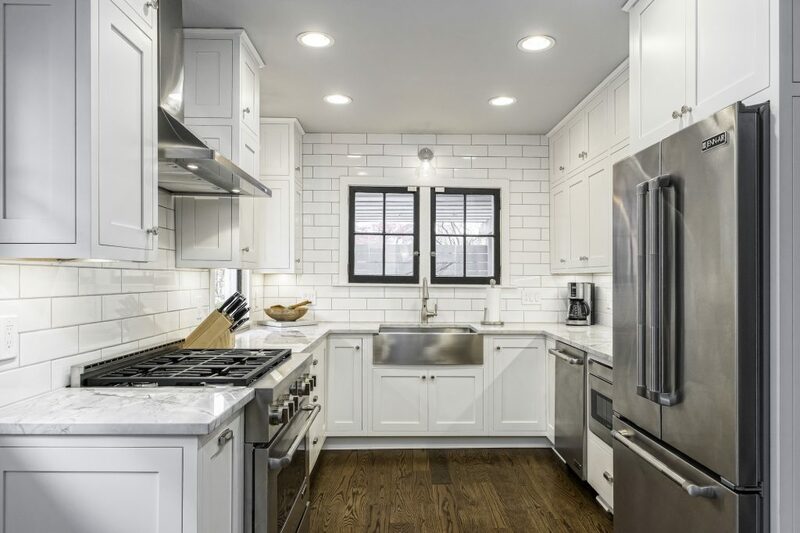 Traditional subway tile in a larger format was used to for the backsplash. 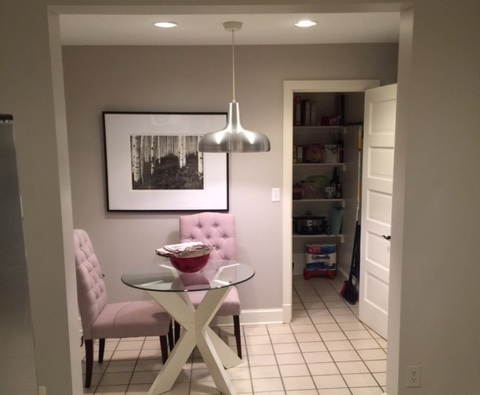 The area adjacent to the kitchen was a small space that wasn’t particularly useful. “They had tried to put a table in the breakfast area, but it wasn’t suitable for that,” says Rupp. “It was kind of a useless area,” adds the homeowner. In fact, Rupp decided to create a bar area in that newly opened space. 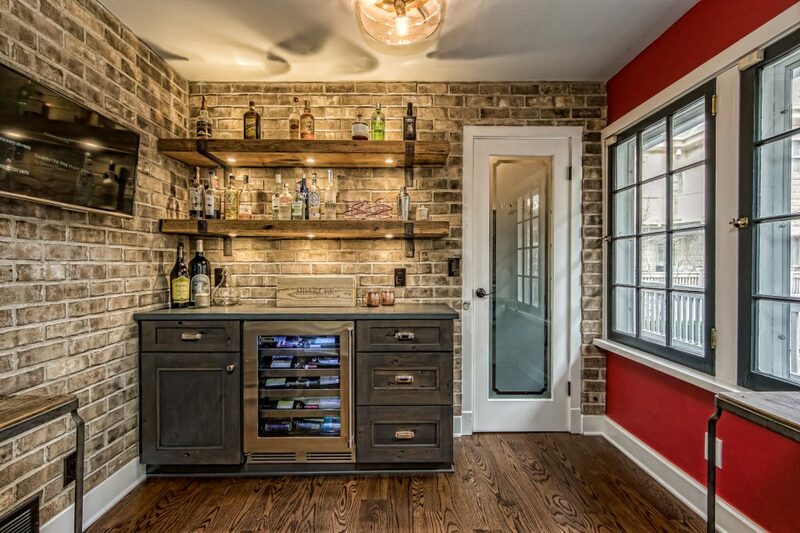 “We used some rehabbed wood from a barn to make a great-looking bar,” he adds. That reclaimed wood from a 100-year-old barn also was used to build the shelves and the entryway into the bar. 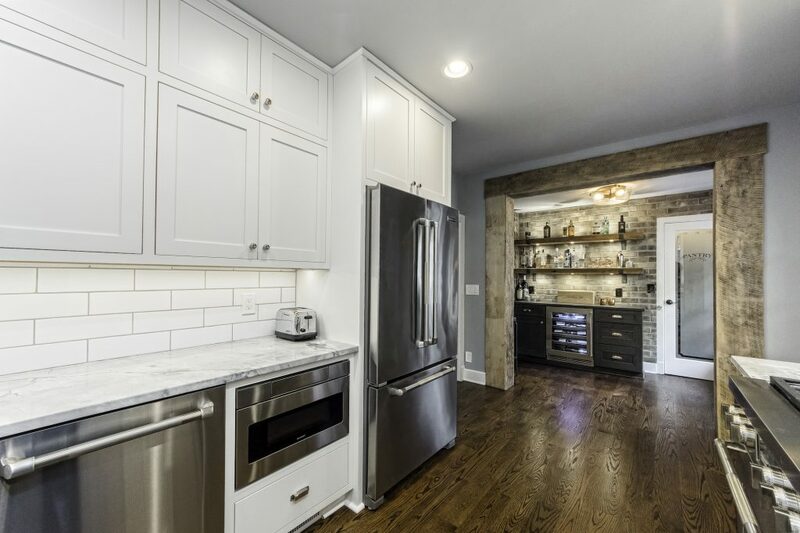 To help finish off this deluxe remodel, all new Jenn-Air appliances were installed. Terry loves to cook, so he is enjoying the new appliances and all the technology that comes with them. Terry especially likes the functionality that the space now offers him and his guests.